One of my favorite tablescapers is Jacqueline from Purple Chocolate Home. 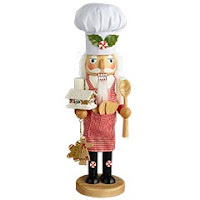 She is a wonderful storyteller, has fantastic taste and adores holiday celebrations. Last December, she showcased a beautiful Nutcracker Sweets tablescape with two 6 foot nutcrackers flanking her dining room mirror. 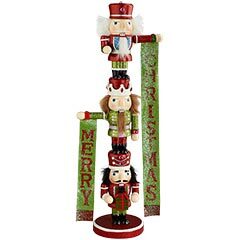 Ever since then I have been on the lookout for these giant nutcrackers. Jaqueline got hers at Costco several years ago and to my surprise I found a pair at the Christmas Tree Shops this past weekend. Costco sold theirs for $250 and the Christmas Tree Shops are also selling theirs for $250 each as well. Too bad they aren't a matching pair. Not that I would have been able to afford $500 on two nutcrackers anyway but one can dream. 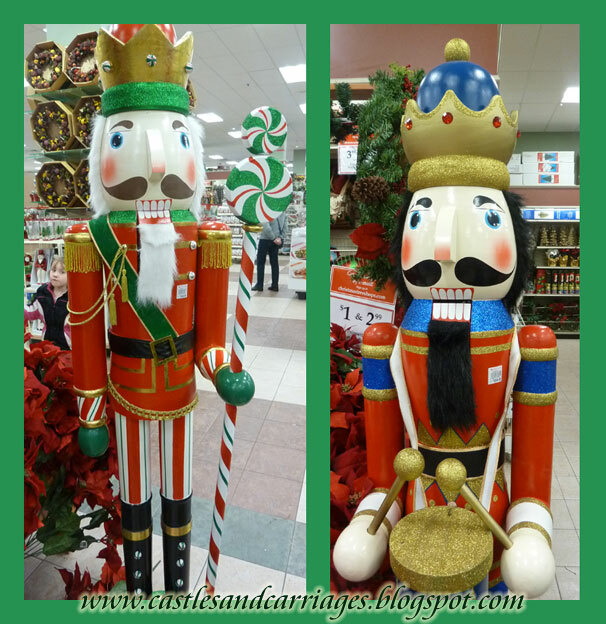 If there were no limit to my decorating budget, I would love to have a set of nutcrackers! 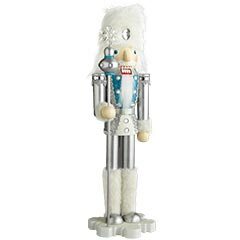 Speaking of nutcrackers, Pier 1 Imports has adorable ones this year. I had to stop by to check out their ornaments for this year too. 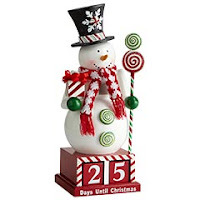 It seems there are not only giant nutcrackers around but also giant snowmen and reindeer! 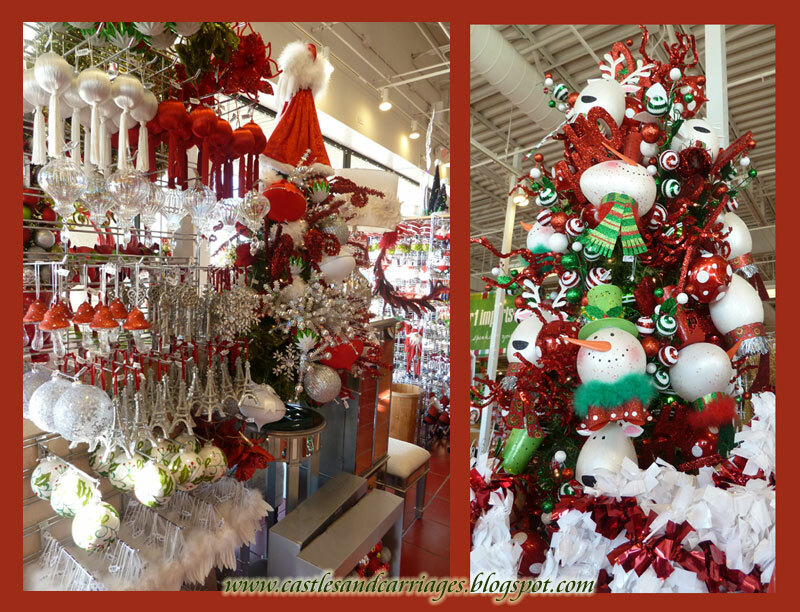 Once Halloween rolls around, the other holidays seem to come around so quickly. There are 15 days until Thanksgiving can you believe it? Her dining room looks like a fantasy, so pretty. I'm not sure I could justify spending $500 for those, but they are cute. Que maravilha os quebra nozes...Também seria um sonho ter um par gigante desses em casa!! Obrigada pelas fotos! Sissie: I don't know that I could justify the spending on them too. Secretly, I am trying to think of a way that I could have them cheaper. Wouldn't that be quite a DIY project? Jacirascrap: EU amo os! Agradeço-lhe a suspensão por!